I have to start off by saying this- Nothing this year went as per plan. Now that is out of my system lets go on with this post. Normally I would be hyper-ventilating (and yes, okay, I did initially), but eventually I just decided to let go and go with the flow. Well it was more like I HAD to let go and go with the flow. Anyway, since this was the first time I was trying bullet journalling, I thought I would document how it went. 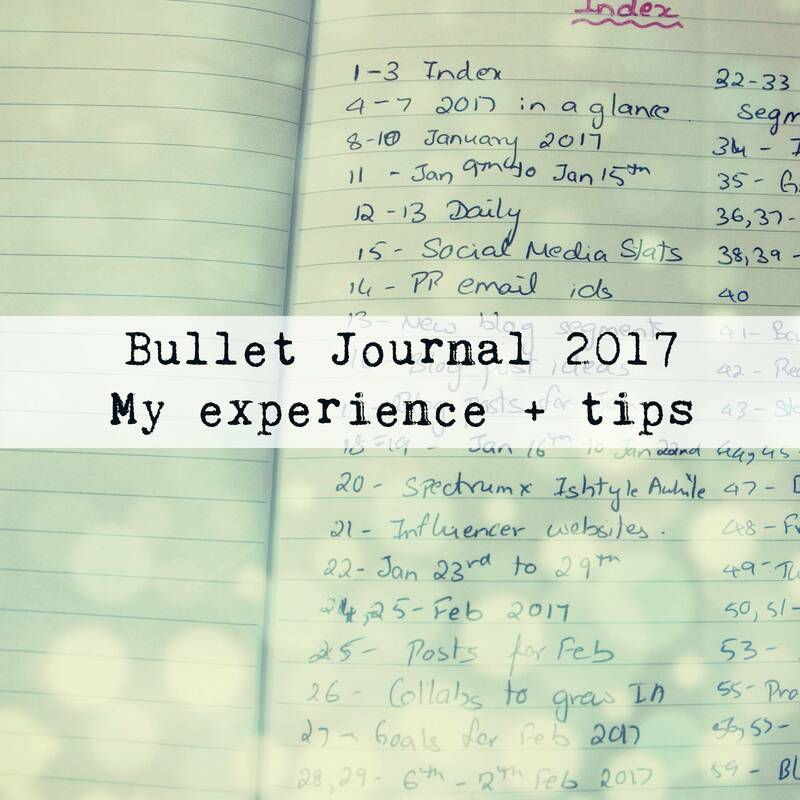 In case you have no idea what a bullet journal is, I would suggest that you watch this video on the basics of bullet journal. It is a really simple concept, or so I thought.